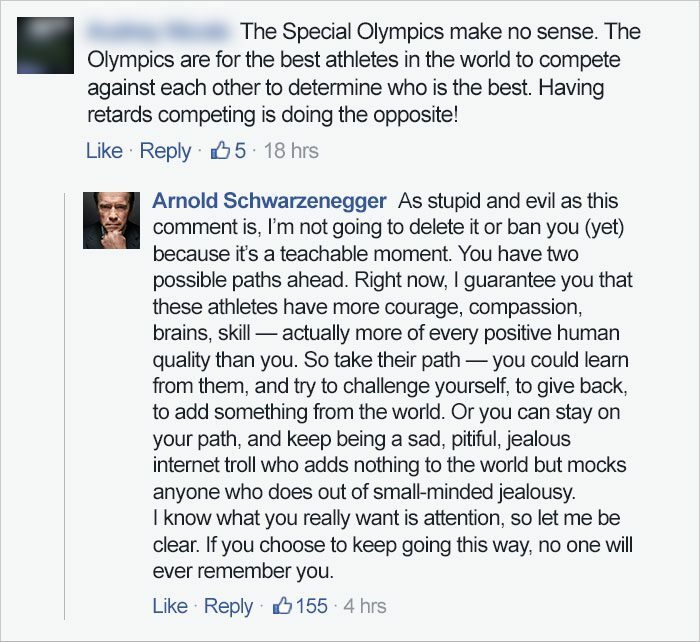 Arnold Schwarzenegger is an avid supporter of the Special Olympics. 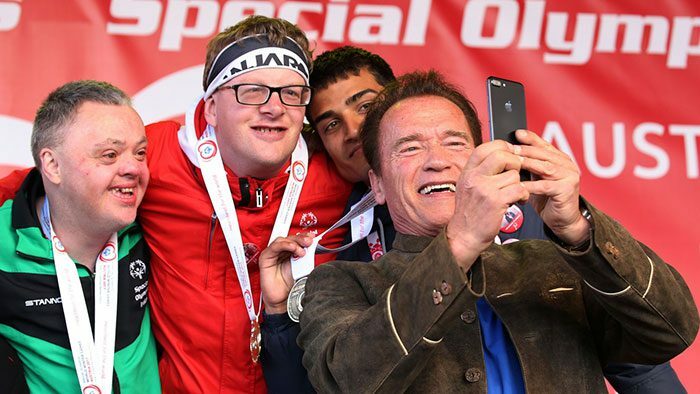 The 2017 Special Olympics were recently held in Schwarzenegger’s native Austria. He also sponsors the Special Olympics in addition to being an outspoken ambassador for them on social media. Timothy Shriver, Chairman of the Special Olympics, is the brother of Schwarzenegger’s former wife, Maria Shriver. Schwarzenegger posted a video on Facebook last week posing with athletes competing this year. That’s when a sniveling troll made his way to the comment section, questioning the purpose of the Special Olympics and slurring the hard-working athletes who take part in them. Arnold shut coward down so brutally that he later deleted his comment.